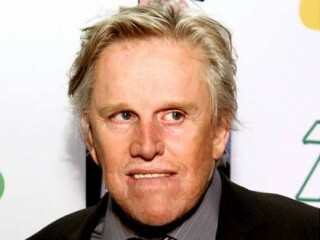 Birthplace : Goose Creek,Texas, U.S.
Gary Busey is an American film and stage actor and artist. He has appeared in over 120 films, as well as making regular appearances on Gunsmoke, Walker, Texas Ranger, Law & Order, and Entourage. He received an Academy Award nomination for Best Actor in 1978 for his role in The Buddy Holly Story. Busey was born in Goose Creek (now Baytown), Texas, the son of Sadie Virginia (née Arnett), a homemaker, and Delmer Lloyd Busey, a construction design manager. He graduated from Nathan Hale High School in Tulsa, Oklahoma, in 1962. While attending Pittsburg State University in Pittsburg, in southeastern Kansas, on a football scholarship, he became interested in acting. He then transferred to Oklahoma State University in Stillwater, where he quit school just one class short of graduation. In the '80s Busey's career nearly took a backseat to his out-of-control personal life, but by the '90s he had survived a near-fatal motorcycle accident, cancer surgery and drug addiction to come out the other side a "born again" Christian and a hard-working character actor. In addition to roles in The Firm (1993), Lost Highway (1997) and Fear and Loathing in Las Vegas (1998), Busey has done voice work for the video game Grand Theft Auto and starred in Comedy Central's I'm With Busey (2003), a "reality" show capitalizing on Busey's famously oddball behavior. As a drummer Busey played with Willie Nelson, his co-star in the movie Barbarosa (1982), and with Kris Kristofferson, his co-star in the movie A Star is Born (1976)... He is the father of actor Jake Busey... In The Buddy Holly Story Busey performed the songs himself. View the full website biography of Gary Busey.